This autumn, the legendary choreographer, dancer and filmmaker Yvonne Rainer is moving from a large retrospective about Judson Dance Theatre at MoMa in New York to Weld at Norrtullsgatan in Stockholm to create a new work for Weld Company titled Again? What now? Before the visit we are warming up with a full day of film. 13:00-15:00 Privilege / Yvonne Rainer (1990) 105 min. Yvonne Rainer’s sixth feature is a genuinely subversive movie about menopause. Out of a subject that has been virtually invisible on film, Rainer has fashioned a witty, risky work about sexual identity and the unequal economies of race, gender and class. 15:30-16:00 Yvonne Rainer reading a letter she sent to Lucinda Childs in July 1968 (2014) 05.36 min. 16:00-16:30 Salomania / Pauline Boudry & Renate Lorenze (2009) 16.40 min. 17:00-18:30 Feelings Are Facts: The Life of Yvonne Rainer / Jack Walsh (2015) 82 min. The only documentary to focus solely on the life and career of Yvonne Rainer, Feelings Are Facts: The Life of Yvonne Rainer tells the captivating story of one of America’s most important artists. In 1962, as a founding member of Judson Dance Theater, Rainer revolutionized modern dance by introducing everyday movements like walking and running into the dance lexicon. 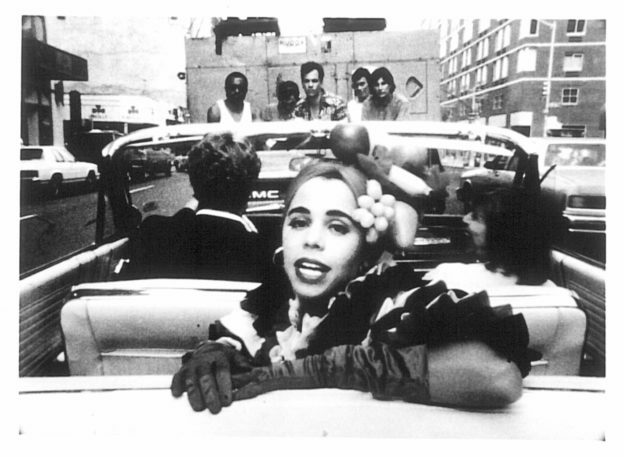 Abandoning choreography in the ‘70s, Rainer introduced narrative techniques into American avant-garde film, turning that genre on its head, too. In Feelings Are Facts, we follow Rainer, now returned to choreography, as she continues to create vibrant, courageous, unpredictable dances that invite audiences to question basic assumptions about art and performance. A stark and revealing examination of romantic alliances, “Lives of Performers” examines the dilemma of a man who can’t choose between two women and makes them both suffer. Originally part of a dance performance choreographed by Rainer.